Set of 5 pieces, Σετ 5 τεμαχίων, high quality and durability. 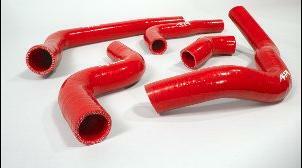 Replaces the factory hoses. Available In black, red or blue colour.